I found these beauty's in Tk maxx they were the only pair left and lucky me they were in my size. 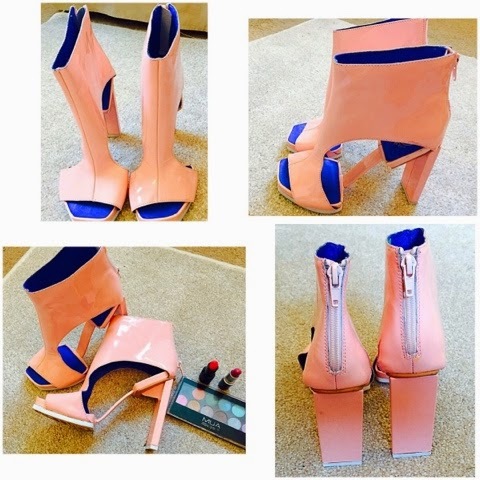 The pink colour is what drew me to them, not only was the shoes design mind blowing they are very comfortable to walk in, which is always a bonus. When it comes to shoes, I love all types from trainers, wedges to platform heels, as long as they are eye catching and comfortable .